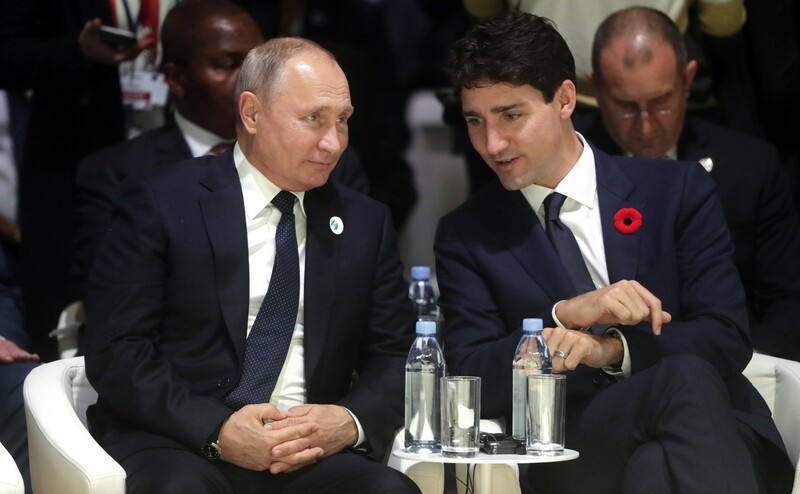 On November 11, 2018, Prime Minister Justin Trudeau met with President Vladimir Putin on the sidelines of the World Peace Forum in Paris. At this meeting, Trudeau and Putin had a brief chance to communicate as they sat beside each other. Although the Canadian government has been critical of Putin’s actions, he seemed to have a friendly interaction with him, sparking a contentious discussion over what was said and if Trudeau seemed to ease-up on his stance. Occurring during the 100th anniversary of the signing of the armistice ending the First World War, could this be a mutual step in re-evaluating relations and reopening discussions between the West and Russia, specifically Canada’s relationship with Russia? Directly after the disintegration of the Soviet Union, Canada signed multiple bilateral treaties with Russia, including agreements on trade, commerce, general cooperation, the arctic, and the environment. Revitalizing their relationship, Canada and Russia agreed to 7 bilateral treaties during the period between 1992-1994. Specifically, the Treaty on Concord and Cooperation between Canada and the Russian Federation (1993/23) details the promises made by both nations to “strengthen the traditional links of friendship and the cordial relations”. Given that this treaty was signed 25 years ago, and in the last century, relations between the nations have fluctuated and changed. However, this treaty serves as a reminder of Canada and Russia’s desire to cooperate and develop friendlyrelations, and reveals how modern bilateral relations have reverted into pre-treaty conditions. Although there were and still are major areas of discontent and tensions, Russia and Canada have prioritized diplomatic relations and maintained representationin each other’s nations. Even though Stephen Harper recalled Canada’s Ambassador to Russia and suspended Canada’s preparations for the G-8 Summit planned for Sochi in March 2014, there was never any termination of relations and negotiations. On Jan. 26, 2016, Russia’s Foreign Minister Sergei Lavrov publicly stated that the “last two years” were wasted by a lack of relations with Canada, pointing to the post-annexation repercussions. Ambassador Alexander Darchiev echoed these sentiments in 2016, stating that the two nations can disagree, but they cannot arrest discussions. The number of Russian and Canadian diplomats in each other’s nations has fluctuated, but were never terminated. In the Arctic, Russia and Canada are located at their closest points geographically. Both members in the Arctic Council, the Russian Embassy stated that both nations value sustainable development and international cooperation in the northern region. A joint statement by Canada and Russia outlines mutual commitment to improving living conditions for aboriginal peoples, regional socio-economic development, investigating natural resources, and other sectors. Canada has posted $40 million for development in Russian northern regions. Nevertheless, tensions may arise without proper diplomatic relations, since other major Article Council members are also NATO member states, such as the US, Norway, Iceland, and Denmark. After 9/11, Canada and Russia openly supported combatting terrorism. At the end of 2016, Deputy Minister of Foreign Affairs of Russia Sergei Ryabkov spoke with Canada’s Assistant Deputy Minister for International Security and Political Affairs Mark Gwozdecky, and conducted Inter-Ministerial consultations on counter-terrorism. On June 16, 2017, Canada hosted discussions with Russia on counter-terrorism. Russian President Vladimir Putin reassured Russia’s support in combatting terrorism after a suicide attack in the St. Petersburg subway in April, 2017, and again recently in Cairo while meeting the Egyptian leader. Russia’s annexation of Crimea in 2014 and involvement in Donbass caused major diplomatic tensions. Residents of the Crimea peninsula held a referendum, denounced by UNGA Resolution 68/262, during a military intervention enforced by Russia where Crimea ‘voted’ to become part of the Russian Federation. Consequently, Canadian diplomatic resources were shortened, sanctions were invoked, and the Canadian government criticized Russia’s actions while supporting Ukrainian sovereignty. 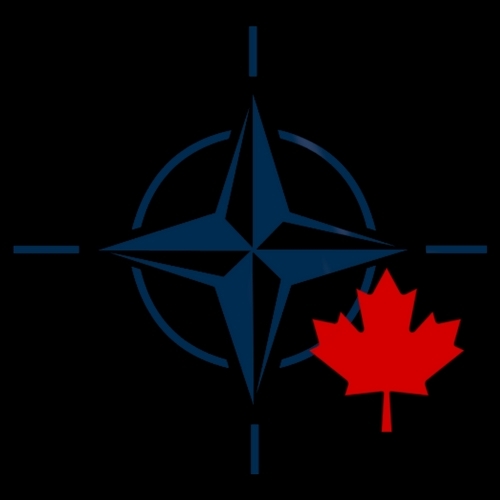 Canada has supported NATO’s readiness in the region through military aid and public statements. Moreover, Canada has taken on a leadership role in Latvia’s NATO grouping, recently participated in Operation Trident near the Russian border, and deployed a few hundred Canadian troops in Ukraine as part Operation UNIFIER. However, this inadvertently provoked a negative Russian response. Consequently, Russia believes that Canada’s active participation with NATO engagement near Russia could cause unnecessary military confrontation, warning Canada to back-away. The exchange of sanctions underline all major areas of discontent for both nations, given that Canada has imposed an asset freeze and visa restrictions to 160 Russian individuals and 80 organizations. Since the Russian Embassy considers the 2014 government change in Ukraine a coup d’etat, it continues to blame Canada for unnecessarily ending beneficial relations with Russia, such as the Intergovernmental Economic Commission and established military contacts. In response to sanctions, Russia limited Canadian import of agricultural products, raw materials and food supplies. These tensions have pitted Canada further against Russia. Recently, the Joint Investigation Team (JIT) led by the Netherlands, Australia, Belgium and Malaysia, concluded that a BUK-TELAR missile shot down the MH17 passenger plane over Eastern Ukraine during the conflict. Although the investigation’s last update confirmed that the 53rdAnti-Aircraft Missile brigade, a Russian army unit, shot down the plane, Russia continues to deny its involvement in the incident. Alongside its allies, Global Affairs Canada has supported the JIT’s conclusions that the missile originated from the Russian military. Expectedly, Canada’s advocacy for Russia to urgently cooperate with JIT and its conclusions caused further diplomatic confrontation with Russia. The poisoning of Sergei Skripal, a former Main Intelligence Directorate (GRU) chief, by Russian GRU agents resulted in the expulsion of four Russian diplomats from Canada. Going further than merely denying all allegations in this issue, Russia accuses Canada of using “slanderous remarks”. In March 2018, four Russian diplomats were expelled for attempting to influence Canadian elections in 2015. Minister Chrystia Freeland, Karina Gould, and Harjit Sajjan all noted the danger of Russian agents operating in Canada. Janis Sarts, the Director of NATO Strategic Communications also warns that Canada could be a likely future target. Rose Gottemoeller, NATO Deputy-Secretary General, claims that the threat of disinformation should be prioritized in the defending Canada’s democratic process. A key document was published by the G7 during the Charlevoix Summit, entrenching a multi-nation commitment to defending common democratic values against foreign threats. There are many areas of discontent that are deteriorating relations between the two nations, and it seems that relations might worsen if approaches remain the same. However, in attempting non-hostile bilateral relations with Russia, it is important to utilize areas of cooperation as a foundation for dialogue. At the same time, it is also dually significant for Canadian foreign policy to reflect its commitment to the rules-based international orderand its allies. 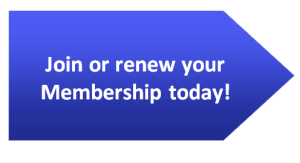 Therefore, a few options are available for Canada: a) preserve and promote new areas of Arctic cooperation with Russia, and b) re-establish the Canada-Russia Parliamentary Association to develop bilateral policy with Russia on counter-terrorism, Arctic cooperation, and to negotiate areas of discontent.